Winner of the 2018 ALA Schneider Family Middle School Books Award. Sixth grade is coming to an end, and so is life as Macy McMillan knows it. Already a "For Sale" sign mars the front lawn of her beloved house. Soon her mother will upend their perfect little family, adding a stepfather and six-year-old twin stepsisters. To add insult to injury, what is Macy's final sixth grade assignment? A genealogy project. Well, she'll put it off - just like those wedding centerpieces she's supposed to be making.Just when Macy's mother ought to be understanding, she sends Macy next door to help eighty six-year-old Iris Gillan, who is also getting ready to move - in her case into an assisted living facility. Iris can't pack a single box on her own and, worse, she doesn't know sign language. How is Macy supposed to understand her? But Iris has stories to tell, and she isn't going to let Macy's deafness stop her. Soon, through notes and books and cookies, a friendship grows. And this friendship, odd and unexpected, may be just what Macy needs to face the changes in her life. 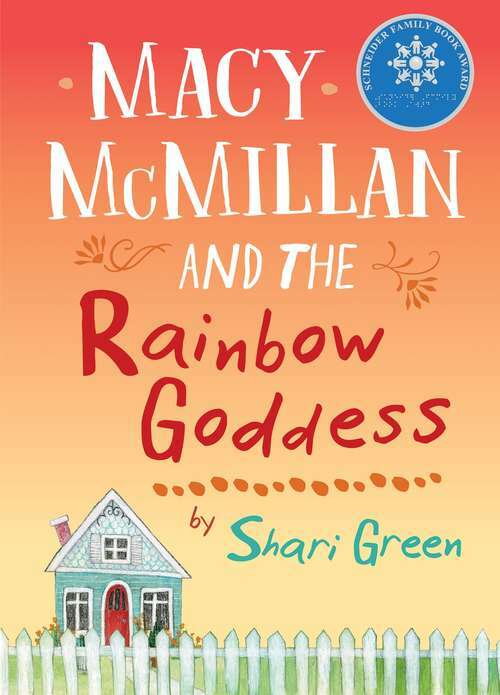 Shari Green, author of Root Beer Candy and Other Miracles, writes this summer story with the lightest touch, spinning Macy out of her old story and into a new one full of warmth and promise for the future.